Much like an individual’s yoga practice grows and evolves, so do small businesses. We caught up with Jess Riley-Norton, owner of Evoke Yoga in Hyannis to hear about the latest evolution of her studio, which now includes a full-on spin program. How would you describe Evoke Yoga & Cycle Studio to someone who might not be familiar with it? Evoke Yoga and Cycle is a beautiful sanctuary and community with its foundation being Yoga. Our teachers are knowledgeable, grounding, and nurturing people who guide classes to challenge and nurture the mind,body, and soul. Our yoga and cycling classes are for almost all levels. We strive to make everyone feel comfortable. The average age in our studio is probably around 40-50 years old. Everyone is at different levels, and we accommodate all. Everyone begins somewhere, and there is always growing to do! When you opened Evoke in 2016 what was your greatest hope for the yoga studio? When we opened Evoke in 2016, our greatest hope was to build a community and space where genuine connections between ourselves and others could be fostered, facilitating growth and elevating not only the quality of life for students, but for their loved ones and everyone they come in to contact with. We are a pebble in the pond, creating some good ripples. Would you say that everyone can benefit from a yoga practice? I say with great conviction anyone can benefit from a yoga practice. It is important to understand there are many kinds of yoga and many different teachers. It is important to explore both, knowing ahead of time you will experience benefits but only if you commit to a practice. I personally experienced a great shift where I was able to embrace my life with gratitude and joy. I have seen so many others reap benefits, and this is why I love doing what I do. This summer you expanded your business and class offerings to include spinning. How do you think yoga and cycling complement one another? This past summer, we added spinning to our yoga studio. I love it! Our bikes are amazing, they move side to side and simulate a true bike ride. They use up 20% more oxygen than a regular stationary bike. After a couple classes on the only RealRyder bikes, you will never want to go back to a regular stationary bike. The philosophy behind the bikes is to serve something that is very true to me. Movement is medicine for me, and I love to work up a good sweat and really move. Yoga, however, is a different discipline, that brings about introspection and evolution best done in its traditional forms. I feel that the practice should not be compromised to satisfy the need for a workout, even though many wonderful practices by default are such. With the cycle, students are able to satisfy a need to move, sweat, work through energy, and process with the foundation of yoga, and practice an intelligent yoga when we are doing yoga. These two forms of movement complement each other well. I think that it is important to have both opportunities and to move in both ways as the body allows, and at Evoke, this is among an uplifting community. For me personally, I believe I am a better adjusted and a happier human if I run, get on the bike, or walk each day. I think that if you don’t use it, you lose it, so it is important to challenge our bodies with cardio exercise of some sort. An added benefit to the cycle classes are the comradre and community that is built, working hard through a class together. We offer a 30cycle/30yoga Thursdays at 9:30 AM, and Friday is at 5:30 PM. These classes are a hybrid offering where you can engage in both practices over the course of an hour. It is one of my favorite things. We bring in spiritual elements to this class as we would in a regular yoga class. Why not make this time that you’ve dedicated to yourself sacred? Why spend it isolated with earbuds under fluorescent lights? What would our relationships be like if we “liked” and ❤️ eachother in true presence rather than from our phone? Anytime that we put our phones down and walk away from our obligations to be with ourselves and share an experience with others, it is sacred time and so let’s treat it as such! The cycle studio is designed to inspire and feel like you are someplace special, just like our yoga studio. Tell us about exciting workshops and retreats you have coming up. We have many exciting things coming up over the next year! We feature many different workshops and possibilities for self exploration. We have a beginner series starting September 20, a sound Healing class with Cristal Gould, a book club (that has invoked some of the most beloved conversations in my life), a Yoga Teacher Training with renowned Boston teacher Ame Wren and the phenomenal Susannah Van Der Wende. Finally, we are doing our retreat in Cuba this year! We will be in Havana practicing yoga on a rooftop, exploring waterfalls and Trinidad De Cuba, learning Salsa and Rumba, listening to Cuban jazz LIVE, and visiting with some artists and art galleries to name a few of our experiences. Yoga experience not necessary! We have partnered with Cuba Wellness Adventures, who also operates as a non-profit to teach Cubans how to teach yoga. We will be fundraising this year so we can all bring them props for their studios. 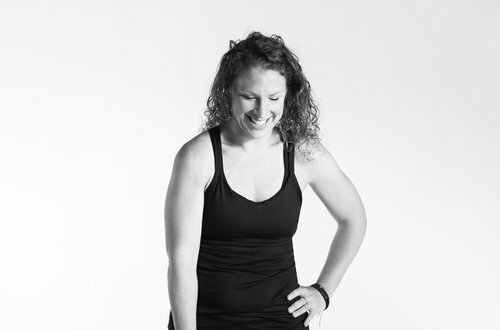 Jessica Riley-Norton has trained under Jill Abraham, Nikki Meyers, and S.N. Goenka in Yoga and meditation. She is devoted to helping others thrive, by walking in their true, uncompromised highest self. Jessica is inspired by her own continual transformation in uncovering the fundamental goodness, as well as witnessing the great benefits of yoga received by her students. Jessica is currently working on her 500 hour certification at Down Under Yoga with Natash Rizopoulos.